Fencil Urethane Systems, Inc., has been in business since 1972. The business was started by Darrell "Butch" Fencil who has been in the construction business his whole life. After graduating high school in 1969 he started working in the family building business on a full time basis and built many homes in the Wisconsin Rapids area. While working in the construction business Butch saw the need for an insulation contractor in the area so he started Fencil Insulation in 1972. In the early '90s polyurethane foam manufacturers began contacting Butch and asking for help to improve their product. He became involved in the extensive testing of polyurethane foam and coatings and worked with many different manufacturers and Underwriter's Laboratory in Chicago. 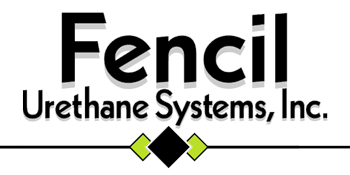 This testing has given Fencil Urethane Systems, Inc. extensive knowledge about the different products and how they perform. Fencil Urethane Systems is transitioning into it's 2nd generation as Butch's son in law and daughter, Nick and Darci Laudenbach have joined the business. Fencil Urethane is committed to helping our customers for years to come and continue to expand our services and insulation products over the years to better serve our customers.